File photo of Michael Jordan. Buzz Peterson knew Michael Jordan as well as anyone when they were in college. "It's an illustration of the type of players we are trying to draft and grow from within," Jordan said. "So from a Hornets standpoint, that is on display this week. We have a lot of work to do and choices to be made to get to that (championship) level, but it starts with the presentation of what the city is all about — for other people to see and understand that this may be a small market but it is a unique city to be in, and that the fan base tremendously comes out and supports the game." 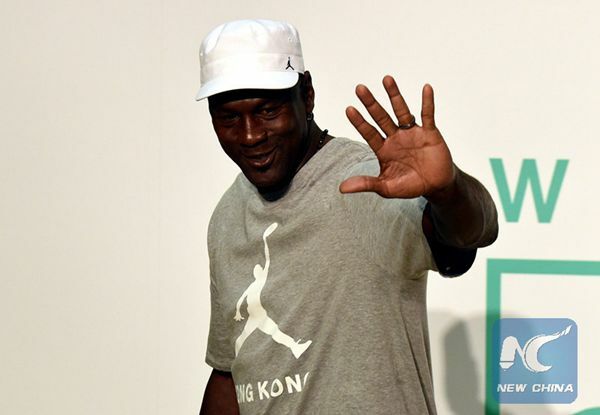 Michael Jordan's older brother, James Jordan Jr, said it comes from their parents. He describes Michael as a "country boy" who never lost sight of his work ethic. He was the youngest of the three boys who relished a challenge, and James Jr said their parents, James Sr and Deloris Jordan, always taught the boys to go after their dreams. "Our parents taught us that you can achieve anything you want, but you have to have drive, that motivation — and you have to work hard at it," said James Jordan Jr, who now works as an executive for the Hornets after spending 31 years in the military.